Born: 6 May 1854, Hawesville, Kentucky, United States . Died: 5 March 1920, Washington, District Columbia, United States . 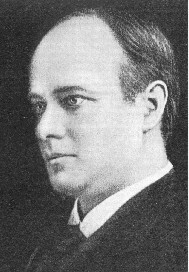 Hennen Jennings (he dropped his first name, James, early in life) was a son of James Rody Jennings and his wife Katherine Sharpe Hennen. His father owned a coal mine in Hawesville, Kentucky, and had large shipping interests in New Orleans. As a result of the American Civil War he was educated initially by his mother and at the age of 13 was sent to England where he completed his schooling. Returning to the United States he graduated as a civil engineer at the Lawrence Scientific School at Harvard, Massachusetts, in 1877. His first position was at the north Bloomfield hydraulic gold mine in California. From there he moved to the New Almaden Quicksilver Mine in California, where he rose from assistant surveyor to superintendent. In October 1886 he married Mary L. Coleman, daughter of a Californian gold-mining pioneer. The next year they moved to Venezuela where he worked as manager of the famous El Callao gold mine, which until shortly before that time had been considered the world's greatest of its kind. From Venezuela he moved to London, and in December 1889 came to the Witwatersrand as consulting mining engineer for H. Eckstein and Co., accompanied by his younger brother Sidney*. Jennings took note of the successful testing of the MacArthur-Forrest process of gold recovery by Alfred James* at Salisbury Mine in 1890, and of the commercial success of the process as proved by George Darling* in December that year at the Robinson Deep Gold Mining Company in Johannesburg. Though he had just established a chlorination plant at that mine, Jennings abandoned this in favour of the plant used by Darling, which the mine bought from the African Gold Recovery Company. Retaining Darling as cyanide manager they successfully demostrated the continuous treatment of sands and slimes by means of the cyanide process. Jennings's contribution to the recovery of gold from slimes, with J.R. Williams* and others, was particularly useful. Jennings's theoretical knowledge was matched by his practical skill as an engineer. For example, he designed a plant for Crown Mines that made greater use of electric power than that on any other mine. His responibilities included the layout of the underground and surface works of the Robinson, Ferreira, Crown Reef, New Heriot, City and Suburban, Village Main Reef, and New Modderfontein mines. Through his thorough work as a mining engineer and effective leadership he contributed substantially to the development of the gold-mining industry on the Witwatersrand, particularly mining at depth. He also persuaded other American experts to come to the Rand, including the engineer Louis I. Seymor* and the metallurgical chemist Charles Butters*. When the South African Association of Engineers and Architects was founded in June 1892 Jennings was elected as its first president. However, at the first annual meeting in June 1893 he withdrew from the election of a president because of his approaching departure from the country. He was, however, elected as a member of council for a year. He served on the council again during 1897 and 1898. In 1897 the Chemical and Metallurgical Society of South Africa (from 1902 the Chemical, Metallurgical and Mining Society of South Africa) elected him an honorary vice-president, a position which he retained until at least 1906. He became a member also of the Geological Society of South Africa and remained a member after leaving the country, until his death in 1920. Jennings left Johannesburg in 1898 to become technical adviser to Wernher, Beit and Company in London, of which H. Eckstein and Company was a branch. That same year he contributed an appendix on the economics of the Transvaal gold-mining industry to Present day metallurgical engineering on the Rand, by John Yates*. In 1902 he returned to the Witwatersrand for a year to assist in reorganising the group's gold-mines. During this brief stay in the country he served on the Technical Education Commission, appointed by the Lieutenant-governor of the Transvaal Colony in 1903. Its recommendations led to the establishement of the Transvaal Technical Institute (which gradually developed into the University of the Witwatersrand). Back in London he helped to select staff for the institute. He was elected honorary president (a position in addition to that of president) of the Mechanical Engineers Association of the Witwatersrand from 1902 to 1905. The association was then renamed the Transvaal Institute of Mechanical Engineers and he continued as honorary president of the latter for 1905/6. In 1903 he joined the South African Association for the Advancement of Science, remaining a member to at least 1918. In London Jennings played a prominent part in reorganising the Royal School of Mines and in the development of mining education. He served as president of the Institution of Mining and Metallurgy from 1903 to 1905 and was awarded the institution's gold medal. In 1905 he returned to the United States and settled in Washington, D.C. With professor N.S. Shaler he contributed to the development of the Conrey Placer Mining Company. In 1915 he became consulting engineer to the United States Bureau of Mines. The next year he published "The history and development of gold dredging in Montana" (60p) in Bulletin 121 of the Bureau of Mines. A pamphlet on The gold industry and gold standard (22p) followed in 1918. He was awarded an honorary master's degree by Harvard University in 1913. Carter, T.L. Metallurgy of gold-mining. In H.T.M. Bell & C.A. Lane, A guide to the Transvaal (pp. 196-217). Johannesburg: SAAAS, 1905. Chemical and Metallurgical Society of South Africa. Proceedings, 1899, Vol. 2: Office bearers. Chemical, Metallurgical and Mining Society of South Africa. Proceedings, 1903, Vol. 3: Office bearers. Dictionary of American biography. New York: C. Scribner's Sons, 1927-1936. Journal of the Chemical, Metallurgical and Mining Society of South Africa, 1904-1906, Vol. 5-6, Officers and Council. Journal of the Transvaal Institute of Mechanical Engineers, 1905-1906, Vol. 4. Orr, J. Presidential address. Annual Proceedings of the Associated Scientific and Technical Societies of South Africa, 1938, pp. 15-86 (see p. 26).